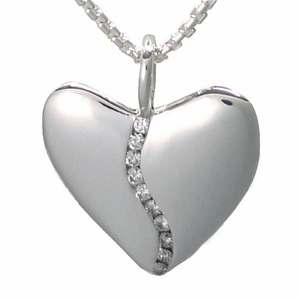 Our lovely silver Harmony Heart symbolizes that special bond between two people. Ten diamonds lie within this sterling silver heart (11/16" across). It has a high polish finish, and comes with a sparkling, silver box chain. This 10 diamond heart comes packaged in a specially chosen tin box, since tin/aluminum is traditional for a 10th anniversary!